It’s like transformation Tuesday every day of the week. For me, looking at pictures of perfectly organized pantries, fridges, and closets is like listening to ASMR. It soothes me. But could I do it myself? Probably not in the ways in looks in those perfect pictures. There are always 72 cans of Spindrift strategically turned with the labels facing front and color coordinated with every breed of vegetable. But Tanner and I live just minutes away from our families, we don’t entertain a great deal, and our one child is exclusively breast fed. 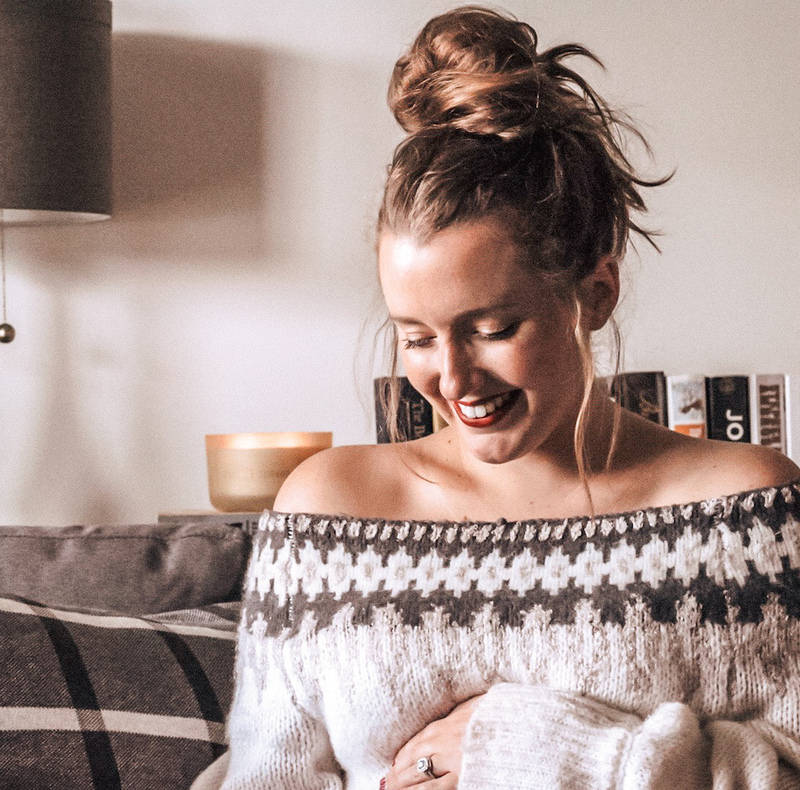 The reality is we don’t have a whole lot of food in our fridge on any given day, and it’s certainly not made up of just seltzer water and perishables. 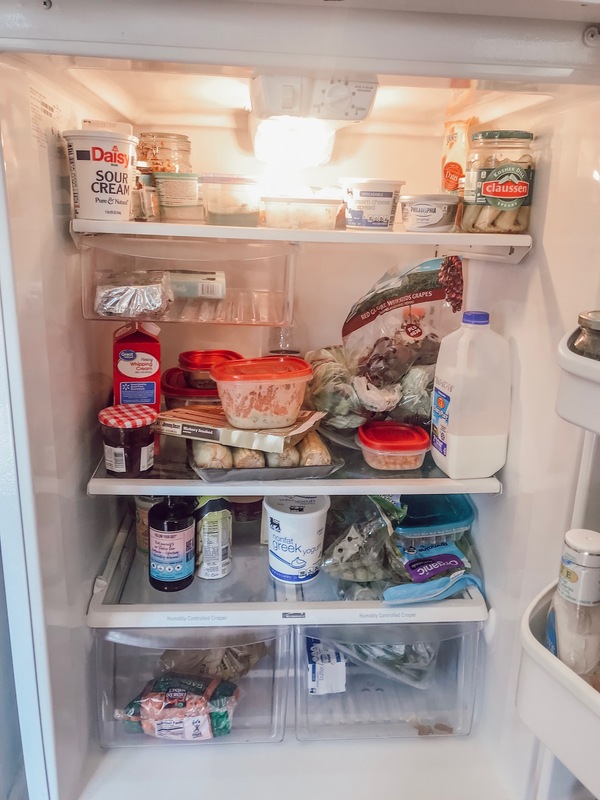 Here’s how I organized our fridge in a way that works for us. Leave room for leftovers. Realistically, your fridge isn’t going to look Instagrammable every single time. Unless you exclusively eat and drink La Croix, kombucha, and garden fresh salads for every meal, it’s just not going to happen. So, leave room for a little bit of life. Recognize the trouble areas. The top shelf is where perfectly good food goes to die in our house. When I first started cleaning everything out, I found a jar of pumpkin butter I made in October. YIKES. It was sealed in a mason jar, so it’s good, but I love pumpkin butter and would have easily finished that off within the month if I had known it was there! I lowered the top shelf so it’s now the biggest space in the fridge. No more losing things! Get you a lazy susan. 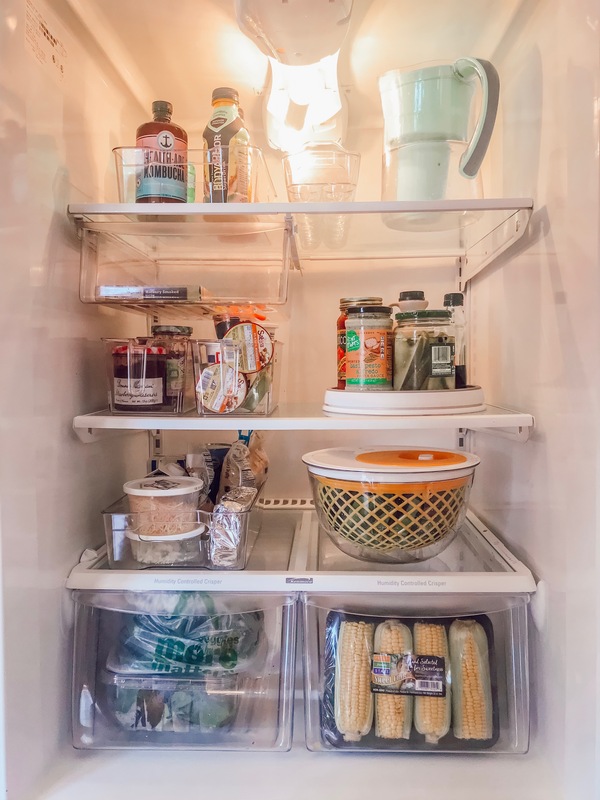 The tallest space in the fridge is usually where I would put heavy jars, milk, and creamers. So, if I wanted to get something in the back, I had to move everything in the front out of the way. A lazy susan makes it easy to spin things around without lifting everything out of the fridge. Fix the milk problem. That leads us to our next tip: put the milk in the door! The door of the fridge was loaded down with condiments etc. and left no room for milk, creamer, or orange juice. Now, the door strictly has salad dressings and condiments, with an entire door shelf for our liquids. Eat more salad. Our lettuce goes bad EVERY. SINGLE. TIME. I actually crave salads all the time, and Tanner likes to have them with dinner most nights. The best way to make sure we get our salads in before they spoil is to put the lettuce in the salad spinner right away. It’s ready to be served when dinner time comes along. Here’s to hoping that my cute little salad spinner helps me eat more greens! XOXO. "Spring Try On Session With Beaufort Proper"